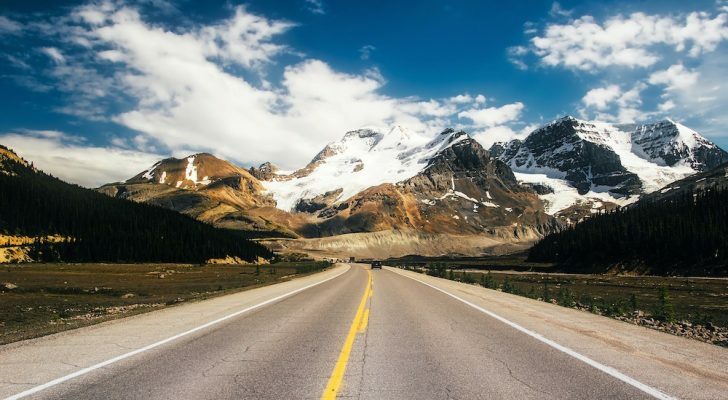 With nearly every car that rolls off the assembly line being outfitted with keyless entry, isn’t it about time RV’s do the same? It perhaps makes more sense for a RV keyless entry than a car anyway. If cant get into your car, most folks are generally close to home where someone can help them. 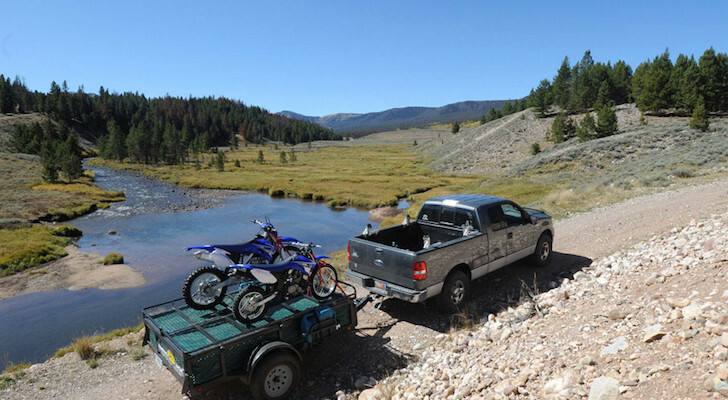 In a RV the keys go missing 1000 miles from home at the Grand Canyon…then what? 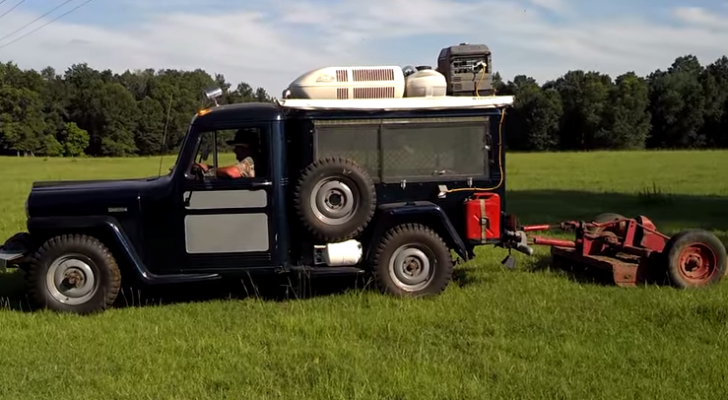 It is also great if you are heading different directions than your camping partners. 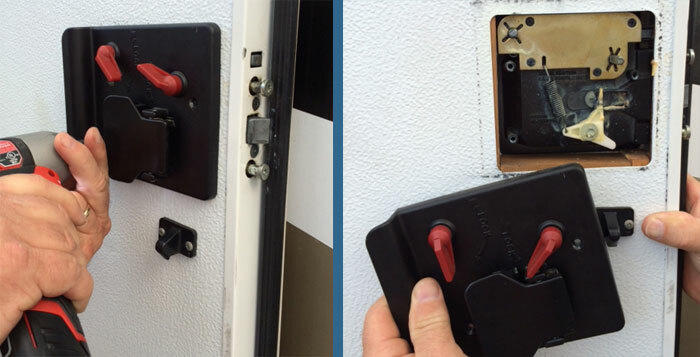 With a keyless RV door lock, everyone can have access regardless of when they need it. 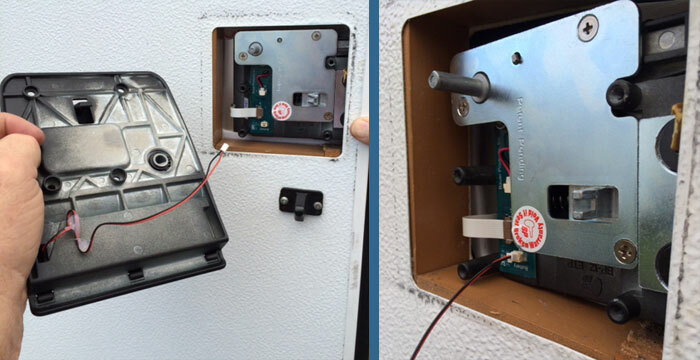 Our own Danny D has been itching to get a RV keyless entry system for a while now. After a recent decision to hold onto, rather than sell his motorhome he decided some upgrades are in order. The great news for him is that there are couple of manufacturers now offering retrofit RV keyless entry systems for motorhomes as well as travel trailers, and pop-up campers. 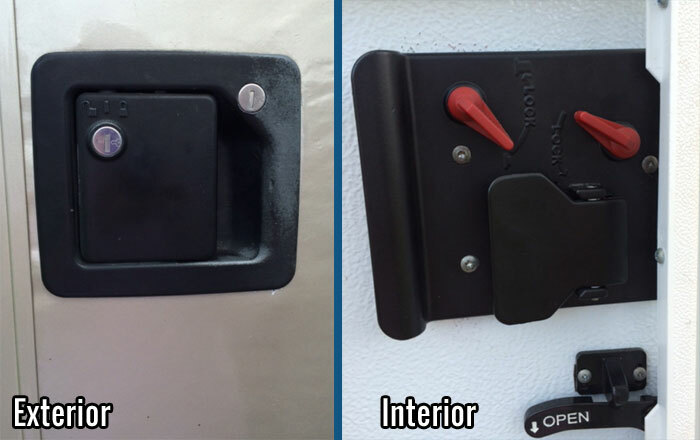 This is important as there are different safety requirements for door locks on motorhomes when compared to all other RV’s. 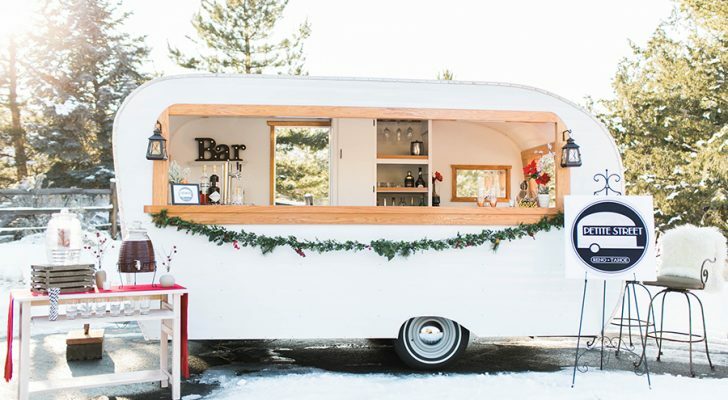 Be sure you purchase the right model for your type of RV. Also be sure to check the documentation and schematics to make sure the lock is the right size to fit into your door as well. Keyless RV door locks run from about $150 all the way up to $300+ depending on how many features and accessories you are looking for. After some research Danny D selected the Bauer motorhome version for his needs. The Bauer keyless RV door lock is totally self contained and operates through the use of capacitive touch buttons. The buttons illuminate for use for easy operation in the dark and the RV keyless entry system is powered by 4 AA batteries which you can change easily when needed. It can be programmed with any 4 digit pin you choose. This thing will even tell you when the battery is getting low. 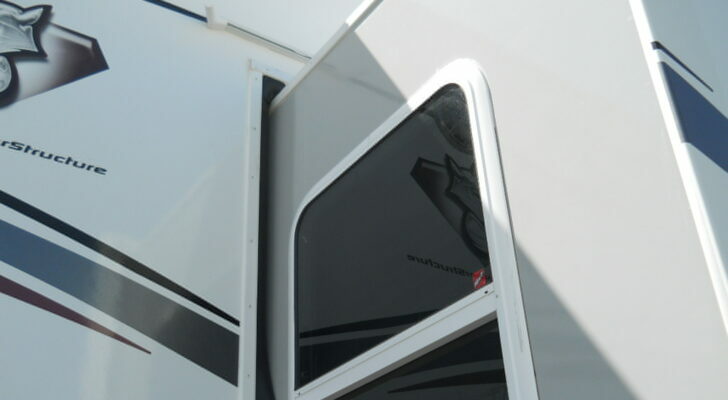 In the event that the battery dies while you are away, the Bauer RV keyless entry system comes with standard MANUAL keys that can unlock the door without the need for the battery. 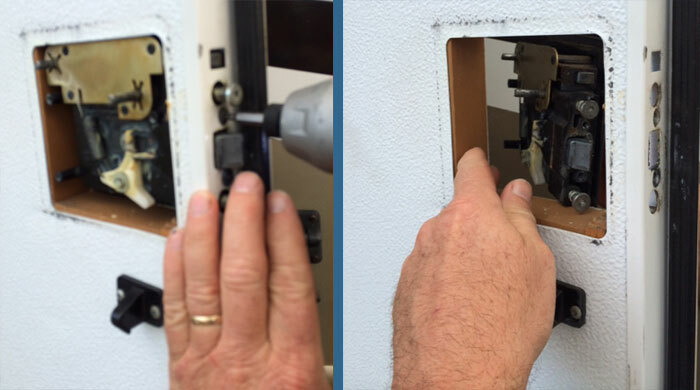 The installation process for the RV keyless entry system from Bauer is refreshingly simple. Danny D estimates it took him less than 20 minutes from start to finish once he had his tools out. 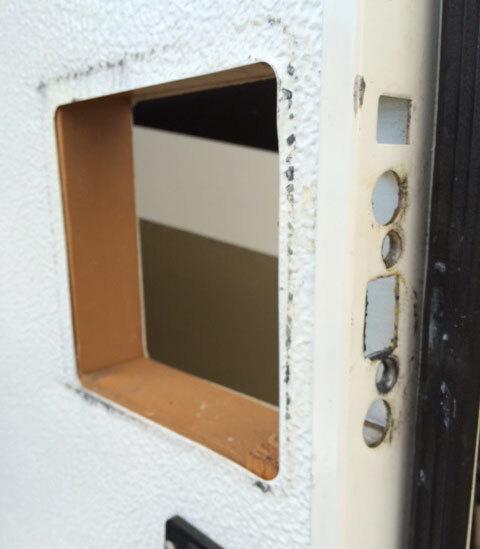 These keyless RV door locks can be difficult to find. 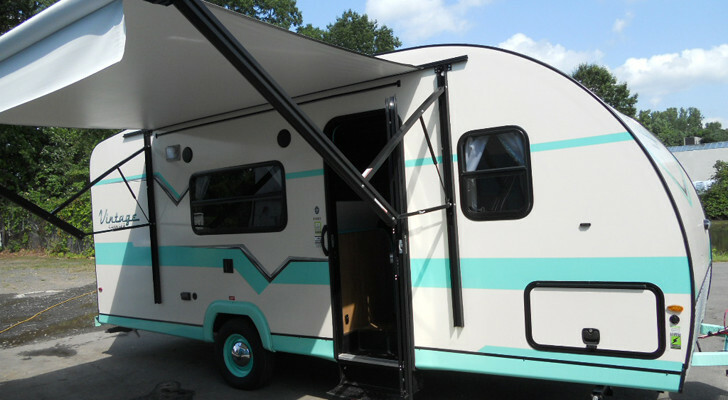 We found that RVUpgrades had the best selection currently. If you decide to put this mod on your to-do list or have questions please let us know in the comments below!